Farming Gromsblood is easy, but it’s not used for a whole lot. I assume if you’re here you have a reason to collect Gromsblood or maybe you just want a full collection of herbs to sell on the auction house. Gromsblood sells in the range of 1 to 10 gold depending on your realm, but either way there is a very limited audience of people who want Gromsblood so it may not sell for awhile. It should sell best in stacks of 5, 10 and 20. 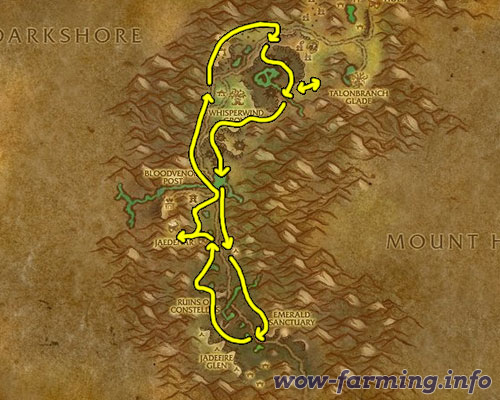 You can farm Gromsblood as soon as you’re level 45 and have Herbalism at 250. Update: You can make a lot of gold with Gromsblood, but if you want to step it up and make thousands of gold you should read my personal favorite guide. 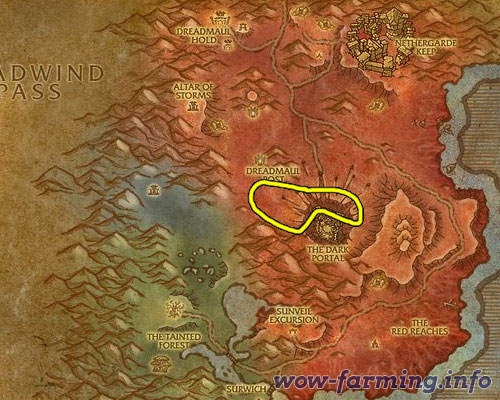 Felwood is probably the best place to farm Felwood if you want to go for awhile, since there are the most nodes. You can cirlce the whole zone following the outside and focusing on any area with demons on the ground. There are a lot of herbs in the crater.Either way, make sure you collect all the herbs you see to increase the chance Gromsblood respawns on your next pass.